A tricky part of being in HR is that the world thinks you’re faultless — perfect, so to speak — when, in fact, you’re not. Just like everybody else, you make mistakes. But unlike regular employees and middle managers, your shortcomings often easily steal the spotlight. Some say it’s projection: Companies usually expect a lot from the employees they hire, so, in turn, those employees develop great expectations of the ones who should look after their needs. Others believe that the pressure mostly comes from the higher-ups. A study conducted by the Henley Business School, University of Reading reveals that chief executives couldn’t be bothered by HR’s day-to-day transactions. Instead, they expect you to perform functions that aren’t usually in the job description, such as enabling the business strategy and acting as a thought leader. We consulted several guidebooks, blogs, and corporate research studies to find out the worst mistakes that HR managers usually make. Some of them stem from organizational issues that are notoriously difficult to solve, but to our surprise, most of them prove to be fundamental — things that any dedicated HR leader won’t miss. Let’s find out what those mistakes are. In a survey that we conducted last month, employees in 3 out of 5 small and medium enterprises (SMEs) reported to believe that their employee handbooks should be updated. Some experienced being unable to find what they were looking for — in what’s supposed to be their company’s most reliable reference material on policies. Much to our shock, a few even claimed never to have seen their company’s employee handbook since day one. As Talent Management and HR says, “Your employee handbook should always be current and reflect policies that are in line with actual practice.” We live at an age when workplace laws and policies are changing at pace that’s a bit too tough to keep up with, but that just makes it all the more important for you to ensure that your employee handbook is updated. Consider starting with a review of your handbook provisions on the following matters, the laws relevant to which are known to be changing even as we speak. It’s difficult to juggle recruitment and other HR tasks (especially if you’re a one-man HR team of a small company), but always remember: talent acquisition is where all your success or failure as a Human Resources officer starts. To ace this crucial part of the employment life cycle, you have to start with carefully crafting the document that serves as one of its main reference material: the job description. Job descriptions don’t only tell applicants what they’re signing up for; they can also determine the speed, efficiency, and quality of your recruitment process. Insperity says, “A few hours spent crafting a solid job description can prevent countless hours of future hassle.” A detailed, well thought-out job description helps you work your way through a crowd of candidates and laser in on the few who possess not only impressive records, but also the skill set that fits your company’s needs to a tee. It keeps you focused on the exact qualifications that you should be looking for in a candidate. In the long run, a solid JD can also save you a lot of time in making decisions around career development and role modifications. Failing to carefully select, educate, and train managers may well be HR’s biggest mistake, at least according to Society for Human Resource Management. And why not? As Talent Management and HR notes, the level of success of your business has a direct correlation with the effectiveness of your management team. There is no limit to where a bad promotion or management hire can lead to: dwindling profits, wasted resources, a demotivated workforce, and, of course, high attrition. According to an expert, selecting and hiring managers should focus on both management skills and the candidates’ “cultural fit.” A candidate is an ideal cultural fit if he or she has beliefs, values, and a work style that matches those of your organization and of the team that he or she will lead. You can also consider the following precepts listed by The Balance. In the context of this article, “training” refers to both the onboarding process that your new hires should undergo as well as to the programs they have to take to acquire new or advanced skills. Training is, according to former Intel CEO Andy Grove, one of the most important jobs of every manager. The benefits may seem limited to enabling people to do what they were hired for and helping them climb the corporate ladder, but experts agree that training means more to your company than most of us realize. Onboarding, for one, increases the engagement of your new hires and makes them fully understand how they can use their skills to your company’s benefit. Moreover, employers who invest in training their people also get a host of indirect benefits. One of those indirect benefits, according to Insperity, is having employees who feel that they’re valuable and capable of doing more for the team than what their job description indicates. Of course, you shouldn’t forget to train anyone whom you think should have a “manager” added to his or her job title. Talent Management and HR gives us a quick rundown of the things that you should primarily be training your leaders in. The growing need for businesses to have online channels has made employer branding more important than ever. To attract the best talent, companies should now learn to market not just the products and services that they offer. They should also communicate who they are as employers and how they treat their people. As one blogger said, your number one candidate source today is employer branding. A lot of large BPO and tech companies do this so well, they attract even job hunters who have an entirely different field of interest but possess strong transferable skills. Those companies realize that, in the digital age, every single opportunity to interact with your potential employees matters. 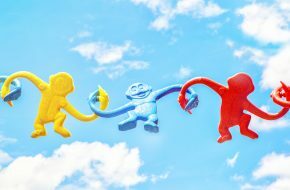 Their HR leaders collaborate with — or even serve as — their marketing experts, the ones in charge of maintaining the unique and positive image that their companies have in the minds of future candidates. There are a number of ways to establish and increase everyone’s awareness of who you are as an employer. Showcasing your team building activities and workplace perks on social media is one. Organizing cause-driven events and conversations is another. Apart from knowing the importance of employer branding, you should keep in mind that different approaches work for different companies. It’s not enough to post, tweet, or share a story about your employer brand. It also matters that your messages across all channels are clear, consistent, and in line with your company’s strategic goals. Over and over, we’ve seen how bad salary disputes and timekeeping-related complaints can get. Hearings in DOLE or NLRC, distasteful rants on social media, an entire online community working to defame a company — these things would easily top any HR officer’s list of work-related nightmares. Yet it seems that the idea of experiencing the said problems is not enough to keep the industry from totally avoiding pay and attendance errors. Why is this so? Business Management Daily tells us that it’s because of the fast-changing workplace policies governing wages, work schedules, and productivity. In most parts of the world, overtime-pay-related lawsuits have cropped up and made headlines. When it comes to rules on how employees should be paid, it seems as though most of the corporate world is at a crossroads. Confronted with issues and questions that spring from new work paradigms, technology, and emerging unconventional employer-employee arrangements, business and HR leaders tend to launch into incoherent and vague speeches and solutions. 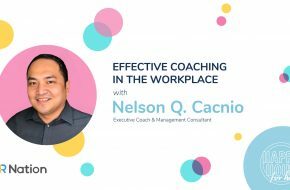 In the Philippines, a lot of HR and finance officers admit to being unsure about how to field questions related to paying consultants and project-based employees, attendance-monitoring, and the recently implemented Tax Reform for Acceleration and Inclusion (TRAIN) law. Some have even remarked that they are still having a hard time dealing with the new tax table until now, almost a month after the TRAIN law’s enactment. The challenge of aligning payroll and other processes with new rules and requirements makes it all the more difficult to avoid mistakes like paying an employee incorrectly and not giving overtime wages when they due. It’s obvious that HR leaders like you need tools that will help you adapt with the bespoke changes easily. Getting a payroll system that will see you through a steep learning curve, one that will reduce a host of tasks to just one push of a button, can save you a lot of time and spare you from a ton of worries. And with the needed tool should come the indispensable ability; as a people manager at an age of sudden changes and great expectations, developing agility — i.e. your capacity to deal with shifting demands, functions, and perspectives — is very important. We all know how things could get ugly when an HR leader like you commits an error, regardless if it’s directly related to your role or not. There’s the possibility of becoming less trusted — a very bad thing, considering how trust lies at the core of your professional relationship with the rest of your company’s workforce. Without trust, everyone will be held back as they waste precious time fussing over matters they’re not supposed to worry about, things that they should leave under your care, like their compensation and well-being in the workplace. There’s also litigation, arguably the worst that could happen , which can lead to unwelcome expenses, a tarnished employer reputation, and business closure. If it’s that bad, it can even mark the end of your career.